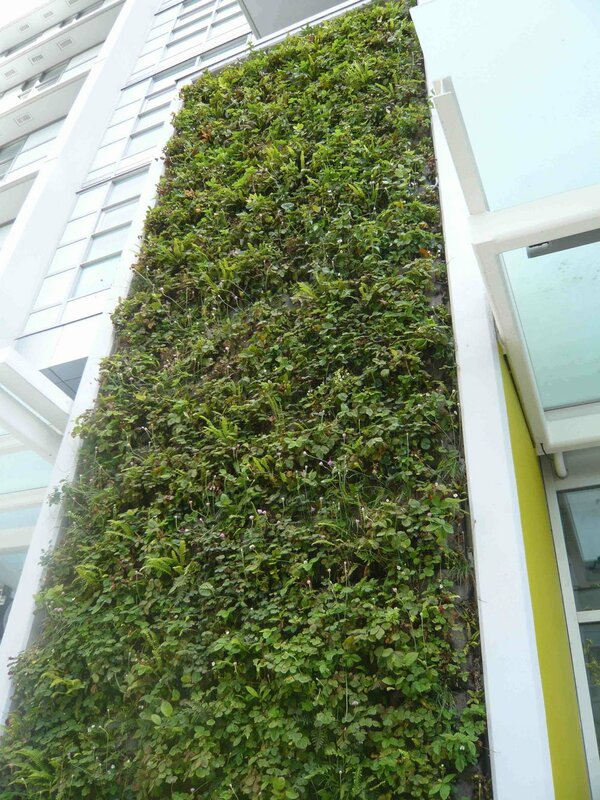 Native plant living wall including wild strawberries at ALTO in Vancouver BC. Fresh Herb living wall for an epicurean client. Herban planter for balconies and other small spaces. Indigenous sub canopy species fern wall at the Westin Wall Centre in Richmond BC. Indigenous plants living wall at Renewal Partners in Vancouver BC. Coastal bluff eco-system regenerative green roof for Patkau Architecture. Tofino indigenous moss roof for Tony Robins Architecture. Inner Live Edge dining table, local black walnut.